St. Peter's had an existing tabernacle they wanted to use, but they wanted us to retrofit it so that it was a pass through to the day chapel altar on the opposite side of the wall. 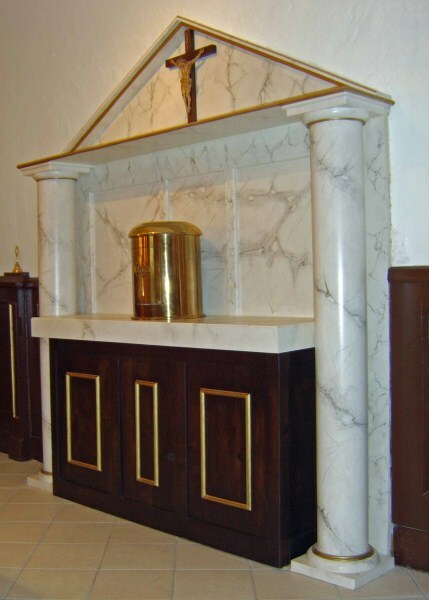 We cut the old tabernacle in two (very carefully), designed and built a new tabernacle for the chapel, and lined the pass through with white satin. Accessible from both sides. 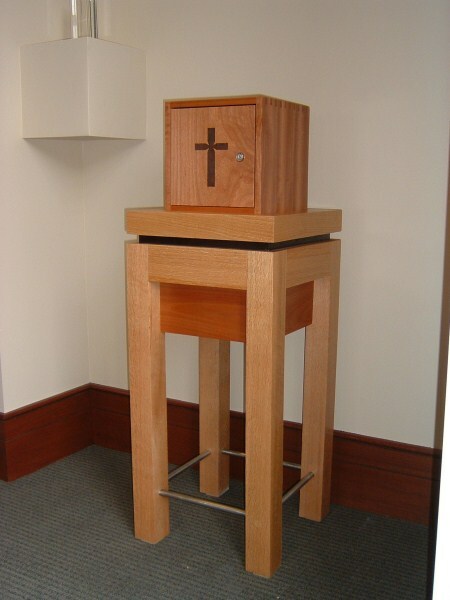 Whether your tabernacle is placed in the sanctuary or in a separate Blessed Sacrament Chapel, it needs to be beautiful, solid, and functional. 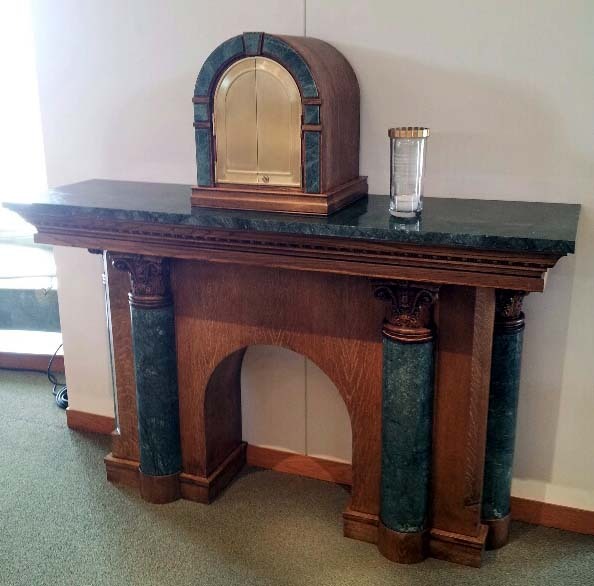 Many times we simply create an altar surround for an existing tabernacle, keeping continuity between the new and the old.